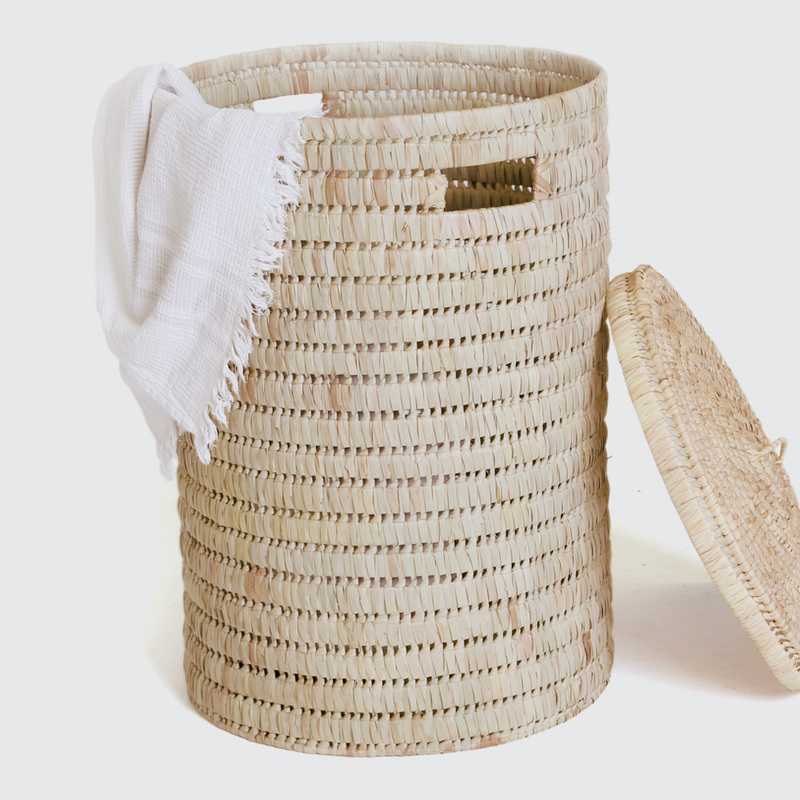 A sturdy, round laundry basket with a broader weave. Comes with small side handles and lid. Woven with Palm. Notify me when 0 Laundry Fundo is available.